It’s becoming very hard not to be (or at least feel) sick at the EPO. Sick of Battistelli; Sick of his goons like those blindly loyal deputies and the overzealous Investigative Stasi; Sick of his many scandals and the fact that he miraculously remains in charge after all that*. Sickness has, for many people (a growing number of them) at the Office, become a ‘way of life’. They feel utterly sick coming to work at the EPO, but they must hide it or simply decide to end their EPO careers for good. Issue pertaining to health of workers will occupy a lot of our time and space in the coming months. We have a lot of material about that. It’s a scarcely explored matter, at least in the public domain (the media rarely mentions it at all). It helps explain at least some of the many suicides. 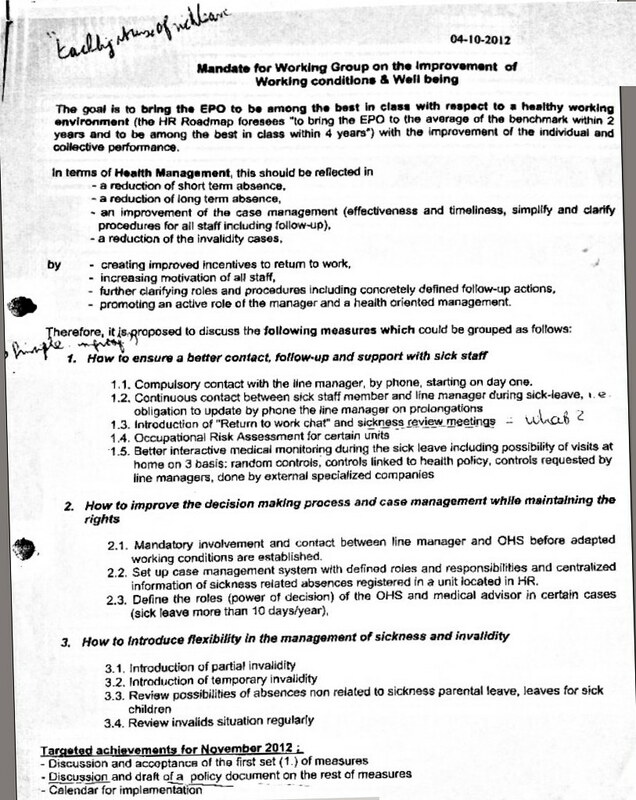 So-called ‘studies’ about health at today’s EPO are a sham, as they are funded by the management of the Office and conducted by people subservient to it. They’re what a classic sceptic would dub “coverup” or “diversion”, or an attempt to cast uncertainty and doubt like oil giants notoriously do. Internal documents, by contrast, explain how sickness leaves got reduced, not because people are any less sick (or less often ill) but because they’re terrified to stay home when they fall ill; they must pretend to be healthy, even when they clearly are not. This kind of phenomenon was explained here before and will be revisited in the future. It’s a deadly combination, akin to lack of sleep (sleep deprivation experiments are well documented in scientific literature), deficiency of exposure to sun/light and so on. “So-called ‘studies’ about health at today’s EPO are a sham, as they are funded by the management of the Office and conducted by people subservient to it.”Depressed, helpless, hopeless people whom we hear from/speak to are evidently exhausted, both mentally and physically. They project outwards some of the symptoms experienced in overly demanding production lines (my wife used to work in Taiwan where this was common). It’s incredible that outsiders were never allowed to properly study (and also publish) data on it, but as we shall show at a later point, the Office is actually aware of this issue (e.g. an epidemic of upper limb disorder, which spectacularly enough inflicts nearly half of all the staff!). And that’s putting aside esteem issues, high stress levels that are associated with coronary problems, problems with family/marriage etc. Leaked to us this week was the following important document, “Mandate for Working Group on the improvement of working conditions and well being” or, as our source titled it, a “quick guide on how to make sick staff sicker”. Generally, there is one other point you are well aware of but I would like to emphasise: The unfairness and inequality of a “legal” system. Each time the office launches a bullying action, in particular against sick staff, invalids among others, they hit the persons who are in the weakest position to defend themselves. 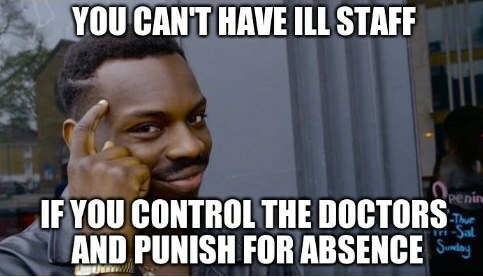 The internal “rules”, the ILOAT imposes legal notices that are acrobatic for most persons in good physical condition, but unbearable for sick or invalid staff. You may spend, hours, days or months in addition to fairte [sic] amounts of money for your lawyer but the office hires the most expensive ones and have troops of jurist to defend themselves. Therefore no chance there. Invalids are let alone in the dark with the management shooting on persons without defense. These guys are at war and use warriors’ techniques to defeat what they consider their enemy. Invalids are their easiest and weakest prey. Last but not least, I have developed a strategy to try to get rid of the nefarious clique. I utterly respect all those who try to enforce their rights by claiming them in front of tribunals. This may or may not work in democracies, but at least there is a chance that you get a favourable judgment, if you can afford it. SUEPO has tried many actions in front of many tribunals without an inch of success. SUEPO officials are also profoundly pacifists, which I admire, but sounds pretty naive to me. Neutral persons should confirm that Battistelli´s decisions are right (or not). Mr.Battistelli tells the world outside the EPO that everything is going well inside the EPO. Quality and production are top. Only a few troublemakers are against him and his reorganisations. Most of the EPO personel and one of the unions accept or even love him and his decisions. His decisions are all right and not in conflict with any law he said. No decision of him is against human rights. His values are democracy, freedom, as well as respect for the rule of law and the dignity of each and every person. When this is true, why does he not accept that independent persons analyse the situation in the EPO and confirm that he, Battistelli, is right and doing everything well. Then the ¨troublemakers¨ have to stop. Or is there something he has to hide?.